Manufactured by in the heart of England's pottery country, Perrin & Rowe's chinaware collection is designed to effortlessly combine with the entire range of brassware. 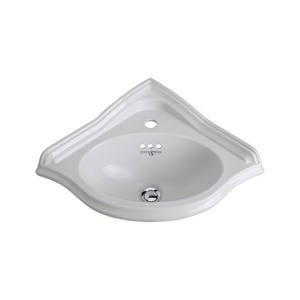 Perrin & Rowe Basins are available in Deco, Edwardian or Victorian designs in 1, 2 or 3 tap hole configurations. The basins can be deck-mounted or fitted with a pedestal (or basin stand for the Victorian range). The Vanity collection of basin bowls are perfect for contemporary or smaller bathrooms, with no tap holes and available in either deck, or undermounted designs.